"Reader Mode" in new Firefox You don't have to install any third party extension, saves memory and the built in feature is better integrated with the browser. If you are die hard Firefox fan and read too much web content in the browser, you should welcome this tiny feature. 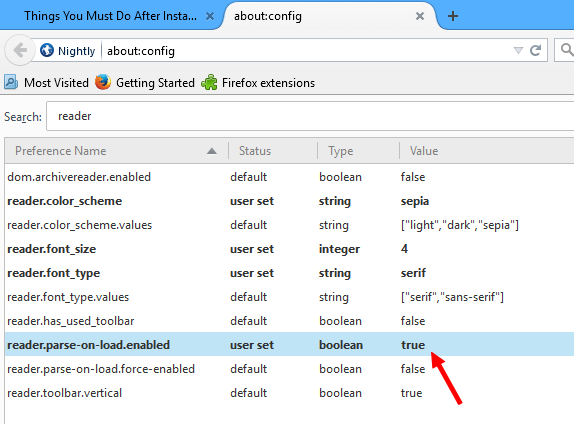 The Firefox Reader Mode is not enabled by default and you must have the Firefox 38 (Nightly version) to enable Reader mode. Click 'I will be careful, I promise' and proceed. Search for the term ‘reader.parse-on-load.enabled’. The default value is 'False'. Double click the line to make it 'True' and to enable the reader mode. Once you have enabled it, open any web page and you will see the small 'Enter Reader Mode' icon in the address bar just behind the refresh button. 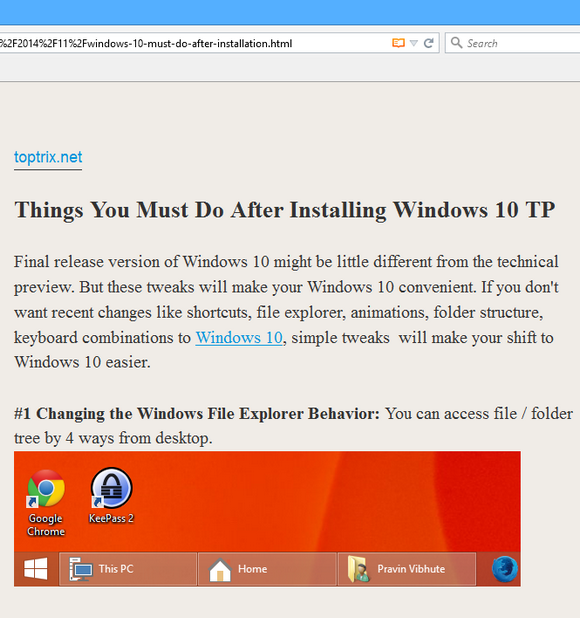 Clicking the 'Enter Reader Mode' icon will make the web page like a clean and tidy book. You can change the font style like serif and san-serif. The background color theme like light, dark and sepia. Text size can also be adjusted as you want. Which is your favorite tool to read the online content? Many peoples now user their mobile devices to read the web. 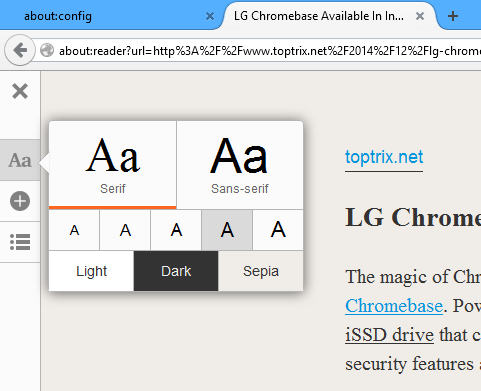 The Reader Mode for Firefox is also available on Firefox for Android. The procedure is same as above for the Android version also. If you want to read the web pages offline and want to keep the browser clean, you can use the famous 'Pocket' application for Android. Read the Must have application for Android phone.